Whether you’re looking for a chair to use when headed out for errands or desire a comfortable chair for long-term use, Spinlife has you covered. We feature the largest assortment of wheelchairs, from transport wheelchairs and standard chairs to lightweight, ultralightweight and even heavy duty chairs. No matter your need, Spinlife has just the chair to help you maintain mobility and independence. Whether you are looking for something to help you get around for a day outing with family or something that will provide you with mobility all day on an everyday basis, SpinLife has a scooter that meets your needs and desires. SpinLife carries everything from travel scooters to recreational scooters. Travel scooters will allow you to easily transport your mobility device by simply disassembling the scooter in smaller and lighter pieces that are easy to manage. Recreational scooters open the outdoors and the ability to travel longer distances to places you may not have thought possible on a scooter. If you are looking for a scooter that falls somewhere in between travel and recreational, SpinLife offers an extensive line of full size scooters in both 3- and 4-wheel. We also offer a large selection of heavy duty and high weight capacity scooters for those needing a little extra power. Keeping you mobile and independent is one of Spinlife’s top priorities, which is why we offer the largest selection of power wheelchairs to fit just about any need. We offer models that are portable and convenient to travel with, as well as full sized power chairs for added power and stability. 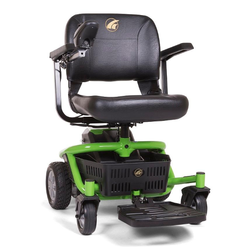 We also offer heavy duty and higher weight capacity options to accommodate those who need more power in their chair. 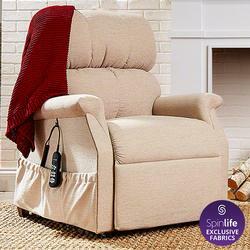 Lift chairs are similar to your standard power recliner, just with the ability to assist in standing or sitting. We have an extensive selection of lift chairs with a multitude of features to meet your needs. Our lift chairs range from basic 2-position lift chairs to feature-rich, infinite-position lift chairs. With upgradable options like leg rest extenders and added heat and massage capabilities, these chairs provide total comfort and support. At Spinlife, we feature Golden Technologies and Pride Lift Chairs as our vendors of choice because of their continual high quality manufacturing processes and their creative product development. In a homecare setting, figuring out which bed is the right fit for your needs and wants is key. At Spinlife, we feature a wide selection of homecare beds, from basic homecare beds to home-quality hospital beds and even adjustable beds. Each type of bed has various features that can accommodate many needs. Spinlife also carries a variety of mattresses and accessories for your bed. When it comes to wheelchair use, whether it’s minimal throughout the day or fulltime, staying comfortable and supported is important. 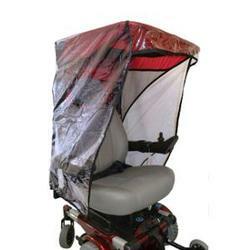 With most wheelchairs, additional seating or positioning products will be needed at some point while using the chair. At Spinlife, we offer a wide range of wheelchair backs and cushions to meet a variety of comfort, support and medical needs. In a homecare setting, patient lifts are a key part in ensuring the user’s safety with transfers and daily activities. Patient lifts decrease the risk of injury to both the user and caregiver, while also improving the ease of transfer. At Spinlife, we carry a wide selection of patient lifts, including powered-base lifts, manual lifts, pool lifts and bath lifts. Along with our selection of lifts, we offer a variety of patient lift slings, ensuring that your patient lift needs are met. For on-the-go lifestyles, a wheelchair or scooter lift for your car is ideal. Vehicle lifts provide convenience in that they don’t require you to disassemble your wheelchair or scooter. Spinlife carries a wide range of vehicle lifts, including scooter lifts, power wheelchair lifts and manual wheelchair lifts. These vehicle lifts can be manual or fully-assisted power models, which require less physical effort. We have vehicle lifts that attach to the outside of your car by a hitch, as well as models that lift your scooter or wheelchair into the trunk of your car or van. 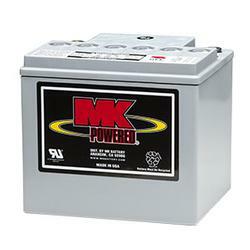 Many offer installation packages as well, for added assistance. Is constantly walking up and down stairs becoming a burden? 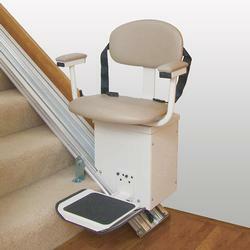 A stair lift might be just what you need to keep your independence in your home. Spinlife has a great selection of easy-to-install stair lifts, which mount to the stairs (on either the left or right side). We feature direct power models and back-up battery models; allowing 15 to 20 trips per charge, even if the power goes out. With a few simple measurements, you can have a custom-fit stair lift into your home. Whether you are looking for your first walking aid or looking to upgrade to a different model or type, Spinlife has what you need. We offer a wide selection of walking aids, from rolling walkers, standard walkers and specialty walkers to canes, crutches and even walking aid accessories. 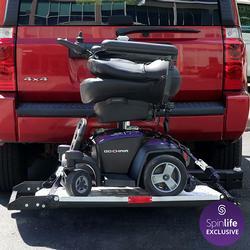 Regardless of your mobility needs, Spinlife has just the walking aid for you. For those who require a higher weight capacity or added durability for their mobility needs, Spinlife’s selection of heavy duty, high weight capacity mobility products has you covered. 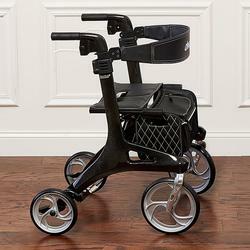 We feature a wide range of heavy duty power chairs, scooters, manual wheelchairs and walking aids. 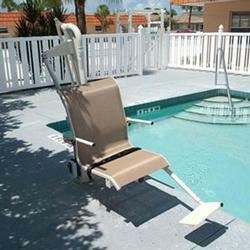 Spinlife also offers a large selection of heavy duty patient lifts and bath safety products. For easy access over thresholds, curbs, up a set of stairs or even into the back of your vehicle, check out Spinlife’s selection of ramps. We feature various types of ramps, from single-fold, multi-fold and van ramps to threshold ramps and solid ramps. Our selection of ramps is ideal for wheelchair users or users who have trouble getting up stairs. 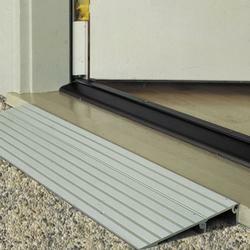 Regardless of your ramp need, Spinlife’s wide range of ramps can help. In the home, independence is a top priority. Spinlife offers a selection of bath safety products to help maintain your independence in the home, while also ensuring your safety. 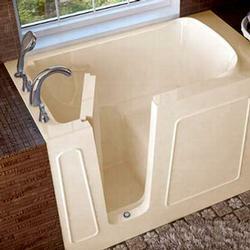 We feature bath lifts, transfer benches, commodes, grab bars and more. Regardless of your bath safety needs, Spinlife has you covered. Keeping your children mobile and safe is important. 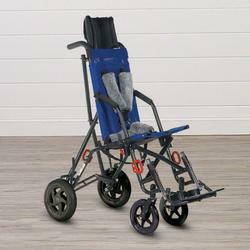 At Spinlife, we feature a variety of pediatric mobility products to meet almost any need. Whether you are looking for pediatric wheelchairs, strollers, standing frames and more, Spinlife has you covered. Ensure your child’s safety and mobility with our selection of pediatric mobility products. Aids to Daily Living (ADL) are key in ensuring you stay safe, mobile and independent. Spinlife features a wide assortment of ADLs, from home care therapy, skin care and bathing aids to reachers, mobility accessories and items for the home. 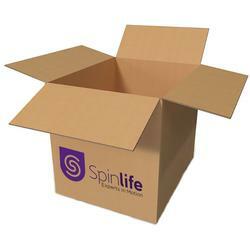 We carry the top brands and products, so rest easy knowing you’re getting the best from Spinlife. Standing frames provide alternative positioning for users who rely on a wheelchair for mobility. 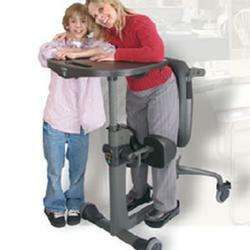 These frames support the user while maintaining a standing position. Spinlife’s selection of standing frames are designed to adjust to fit a range of heights and positioning needs. We carry standing frames for children and adults, ranging from sit-to-stand models and stationary models to glider exercise models. Whether you want to improve your workout or amp up your routine, Spinlife has you covered. 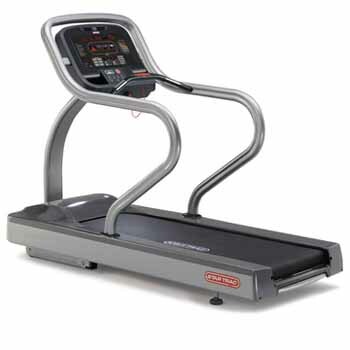 We feature a wide range of exercise equipment, from pedal exercises and treadmills to upper and lower body ergometers. We also feature outdoor walkers and exercise equipment tables to accommodate almost any need. Stay active with Spinlife’s selection of exercise equipment. Don’t let your mobility needs keep you from enjoying fresh air and outdoor activities. At Spinlife, we carry a diverse selection of outdoor mobility products to ensure you stay independent outside and on the go. Whether you need a wheelchair for your trip to the beach or a relaxing day at the pool, or a pool lift to assist you in a refreshing dip, Spinlife has you covered. 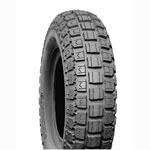 Spinlife carries a wide range of tires for manual and power wheelchairs, as well as scooters. Check out our selection of casters, too. With a diverse selection of tire treads and styles, Spinlife has just the tire for you. Spinlife has you covered with all of your accessory needs. We feature an assortment of batteries, battery chargers, covers and canopies, as well as packs, pouches and holders to tote almost anything around. We offer colorful cushion covers, caster forks, gloves, handrims and break locks. 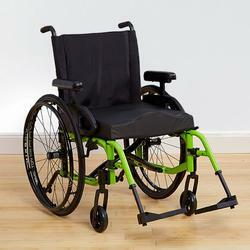 Spinlife also carries an assortment of lap trays, transfer products, wheels and seat assists. 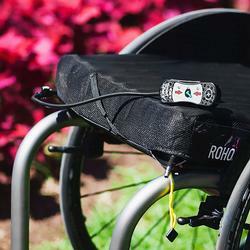 Accessorize your mobility product to meet any need. 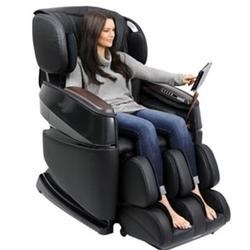 Massage chairs are a bit of luxury in your home. These chairs will fully envelope your body and provide relaxing and therapeutic massage. They’re perfect for increasing circulation, easing muscle aches and discomfort. These chairs are for massage only and o not have a lifting mechanism – if you need a chair that massages and has a stand-up assist, please lee our selection of lift chairs. "Kassidy, thanks for the follow up! This is the reason I love SpinLife. The whole company is pleasant and very serious about the customer's satisfaction! Thanks for everything." "Elaine, I can't thank you enough for going the extra mile to get our order delivered ahead of our trip. Have a wonderful weekend!" "I love my Ventura DLX scooter. It's very easy to adjust the seat and steering column to fit your needs. I went to the county fair with it and getting around all the people was easy. Last year I used a walker and had to stop to sit down a lot. This year was so much fun riding my scooter." Great product with many useful features! "My dad is an 85 year old senior with mobility issues and arthritis. He needed a comfy chair to lounge in that would help him to stand. It is quiet and smooth. My Dad finds it very comfortable and sleeps in it. I am very happy with this chair." 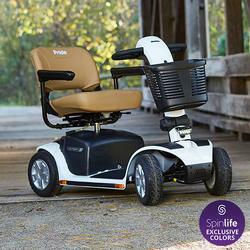 From electric wheelchairs to rolling walkers, SpinLife® has the right product for your needs. Tens of thousands of customers annually can't be wrong! Our volume buying allows us to offer new manual wheelchairs, electric wheelchairs, electric mobility scooters, wheelchair and scooter lifts, and lift chairs at the lowest possible prices everyday. We carry all the top brands including Invacare, Sunrise Medical, Quickie, Pride Mobility, Drive Medical, TiLite, ROHO, Medline and many more. From walkers to power wheelchairs, SpinLife has the staff and the experience to guarantee you get the product that is right for you. 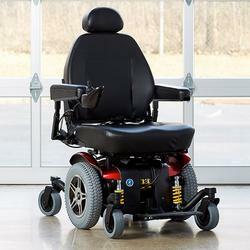 We guarantee to match any published competitor's price for any wheelchair, power wheelchair, electric scooter or home medical equipment product for sale at SpinLife® (Details). If something isn't right, we'll make it right. We're dedicated to your satisfaction and are committed to offering outstanding customer service. Ask about our incredible 30-day money back guarantee. (Details). All orders over $50 are shipped free within the continental USA. (Details).